In Wake of Tragic Metro-North Accident, FRA Is Seeking to Send Additional Safety “Strike Teams” to Rail Systems Around The Country. Washington, DC - January 14, 2014 - U.S. Senators Charles E. Schumer and Richard Blumenthal today announced that the Appropriations bill, filed late yesterday, includes $185 million for the Federal Railroad Administration to hire an additional 45 critically-needed railroad inspectors. This is the full amount requested by the Administration for Fiscal Year 2014. Last month, in the wake of the Spuyten Duyvil Metro-North accident, the senators revealed that the agency, the nation’s chief rail-safety overseer, is woefully underfunded and unable to fully evaluate existing and future rail-safety programs across the nation's freight and passenger railroads. The agency lacks the resources to inspect 99% of the nation’s rails and to sufficiently prepare for the oversight of new safety measures. Today, Schumer and Blumenthal announced that they had secured funding for an additional 45 inspectors, who will be hired over the course of the months ahead. “This is a vitally important increase in urgently-needed inspectors, who will make railroad travel safer now and in the future,” said the senators. With the resources that Schumer and Blumenthal have now secured, the agency will be able to hire an additional 45 inspectors, inspect far more track, and begin sending safety "strike teams" to railroads around the nation in order to conduct additional safety audits. Schumer and Blumenthal requested that the Congress meet the Obama Administration's full 2014 request of $185 million for Safety and Operations, an increase of approximately $15 million over this year's sequestered budget. The Senators noted that FRA does not seek to inspect 100% of the nation’s rails each year – a task that is shared by states and the railroads themselves – but additional funding would allow them to dramatically increase the percentage and spot safety checks. The legislation also required that the results of the FRA's vigorous investigation into Metro-North's passenger train procedures -- called "Operation Deep Dive" -- along with the recommended action plan and timeline for completed action items be delivered to the House and Senate Committees on Appropriations by March 17, 2014. The FTA is expected to determine whether safety investments in Metro-North's system were appropriately prioritized. FRA and FTA are further directed to incorporate appropriate lessons learned from this safety review into oversight plans for all commuter and passenger rail operations. In a Congressional briefing last month with the New York and Connecticut federal delegations, the FRA revealed that they are woefully underfunded and unable to fully fulfill their oversight role. According to a 2012 report by the U.S. Government Accountability Office (GAO), FRA is only able to inspect about 1% of the nation's tracks each year with the resources they are allocated. The agency's rail-safety oversight framework relies on inspections to ensure railroads comply with federal safety regulations. FRA inspects railroad infrastructure and operations, identifies safety defects, and may cite railroads for violations. 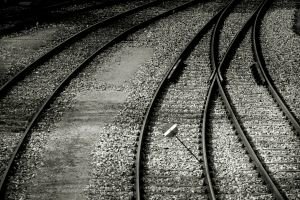 The GAO has found that the FRA faces three major rail safety challenges - 1) implementation of its oversight of mandated safety measures and new railroad risk reduction plans, 2) adjusting to changing rail traffic flows, and 3) ensuring it has enough inspectors for its current and future oversight workload. FRA expects 30 percent of its field safety staff will be eligible to retire in the next 5 years. With the resources that Schumer and Blumenthal have now secured, they will be able to hire an additional 45 inspectors, inspect far more track, and begin sending safety "strike teams" to railroads around the nation in order to conduct additional safety audits. Schumer and Blumenthal said that this additional funding is coming from the Omnibus appropriations bills unveiled last night, and set to pass Congress this week. In the wake of last month's Metro-North's derailment, the FRA had said they would be sending a "Strike Team" of safety experts from around the country to review the railroad's safety procedures, and that investigation is now underway. In a congressional briefing last month, they also said they would like to send similar, pre-emptive teams to railroads across the state and nation, but lack sufficient resources. The FRA promotes and regulates safety throughout the Nation's railroad industry. The office executes its regulatory and inspection responsibilities through a diverse staff of railroad safety experts. FRA staff includes 400 Federal safety inspectors who operate out of eight regional offices. FRA conducts its oversight and inspections in conjunction with railroads themselves, who are also expected to be undertaking ongoing safety precautions and carrying out safety inspections. According to testimony from FRA Adminstrator Joseph Szabo early last year, FRA is requesting $184.5 million for its Safety & Operations account to continue providing existing oversight and implementing new requirements that were required in the 2009 rail safety law passed in the wake of the California. Metrolink crash. The Act authorized 200 new safety positions over the five-year period, but less than a quarter have been funded through appropriations. Szabo said the FY 2014 budget requests new 30 new personnel for FRA’s Office of Safety, including 10 rail safety inspectors to bolster FRA’s on-the-ground oversight of rail operations and 20 safety specialists to implement new regulations in areas such as risk reduction, training standards, and conductor certification. An additional 15 positions are requested to support FRA’s rail policy and programmatic development efforts. Schumer and Blumenthal said that without the proper resources, inspections and certifications of new safety technologies would have been unacceptably delayed. In a 2013 GAO report, the agency found that new technologies, such as automated control systems, are another challenge that FRA will have to incorporate into its rail safety oversight framework. For example, because Positive Train Control (PTC) systems are extremely complex command, control, and communications systems, the FRA believes it will require a specialized inspector workforce—which FRA currently does not have—to provide adequate safety oversight. GAO said that some railroads cited concerns with FRA’s limited resources and the agency’s ability to help facilitate railroads’ PTC implementation. To date, their investigation indicates that these concerns were based around two activities: field testing and certification. First, FRA officials must verify the field testing of PTC. However, FRA reported that it lacks the staffing resources to embed a dedicated FRA inspector at each railroad for regular, detailed, and unfiltered reporting on a railroads’ PTC progress. To address the lack of staff to verify field testing, FRA has taken on an audit approach, whereby railroads submit field test results for approval as part of their safety plans. Second, a PTC system must be certified before a railroad can operate it in revenue service. FRA certifies a PTC system by approving a railroad’s safety plan. FRA has expressed concern that railroads will submit their safety plans to FRA at roughly the same time. Subject: LongIsland.com - Your Name sent you Article details of "Schumer: Federal Rail Safety Authority Will Receive $185m In Federal Funds, Allowing Them to Hire Critically-needed, Additional Inspectors"